New human resources policy of SFS. Trimming staff and recognition "disagreeable" as "unreliable persons" ⋆ News ⋆ Official website for Oleksandr Klymenko. 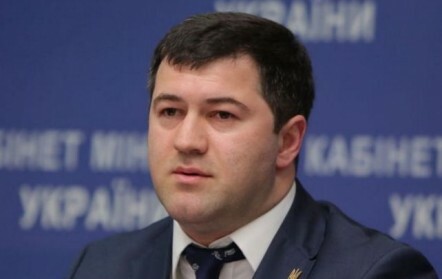 Yesterday during a press briefing, Roman Nasirov – the head of the State Fiscal Service – stated that nearly 40% of his employees, candidates for the position of the leaders of the State Fiscal Service (SFS), have not passed the test for reliability. 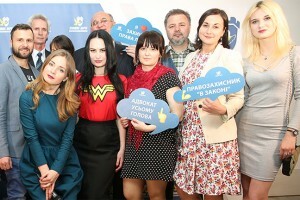 According to the statement of the head of SFS, the key moment of “reform” the fiscal service will be another trimming staff and the recognition of disagreeable as – “unreliable persons”, – Oleksandr Klymenko – politician and public figure, the leader of “Uspіshna Kraina” party – wrote on his Facebook page. “I was talking to the tax workers, who passed the so-called testing. None of them fully understand the mechanism of evaluation of the test results and the grounds of decision-making by Mr. Nasirov. In fact, “restructuring” of fiscal service causes mass dismissals of specialists. First of all, it comes about simple inspectors with increasing load and unaltered salary. Tomorrow, these people, who are permanently under threat of dismissal, can be left on the street” – he said. “Is this a fundamentally new personnel policy of SFS, is not it? It is the openness of the fiscal authority operation, a new philosophy of relations with the tax payer, the promised “tax haven” for the business. Where are all these things?”, – the politician added. A team is the most important thing in reform! It can both create and resist any reform and innovation. Tax and Customs – are people with specific knowledge, experience and thinking. If we declare all of them as unreliable, how can we talk about the results of any transformation”, – he concluded.